Pigs in a Blanket are always a crowd-pleaser!! 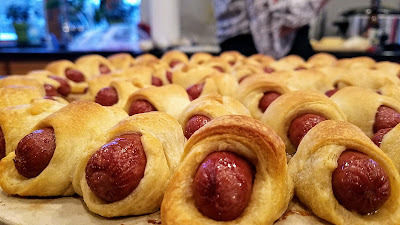 Click here to check out the wienies that I made for my cousin's Christmas party! Oh, you haven't heard?? My good friend Basia makes the best damn pickles in the Universe! 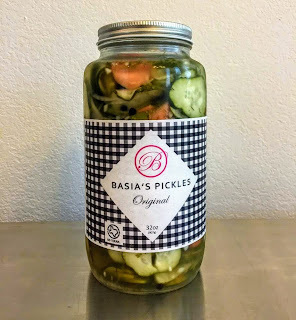 Click here to check out the little promo video I recently made for Basia's Pickles! So, what's been cookin' at HelluvaCook.com?? 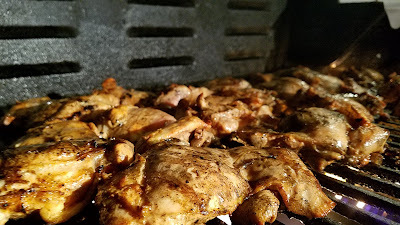 Boneless chicken thighs! Duh! Click here to get your drool on! 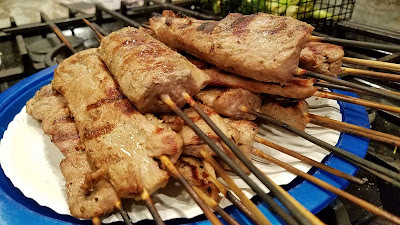 Check out the skewers I made out of a pair of pork tenderloins! So tasty! Click here to see more pics!